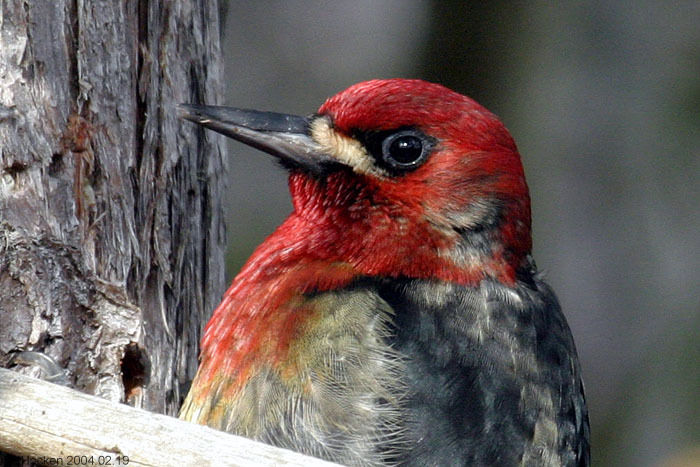 The Sunday Bird Walk on June 03, 2018 will be going to Morden Colliery Historic Provincial Park in Cedar. Meet at the Bird Store at 9:00 a.m. or at the park on the Oceanside side of Trans Canada Highway 1 at the end of Morden Road in south Nanaimo at about 9:25 a.m.
Nanaimo bird Report,May 20, 2018. The Sunday bird walk went to the Shelly Road side of the Englishman River in Parksville. The morning was sunny and warm. A Townsend’s Warbler was spotted on a log across the river. Common Mergansers, a Double-crested Cormorant and Surf Scoters were seen on the Strait of Georgia. 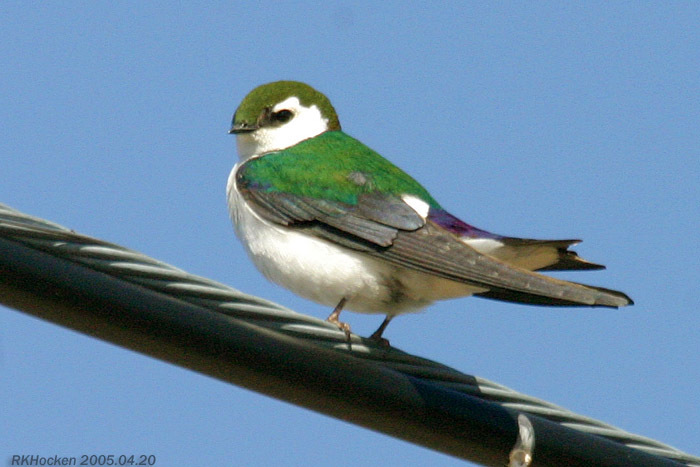 A Violet-green Swallow was perched at the top of a very tall tree, giving us great views. A Hermit Thrush flew across the trail into the bushes. 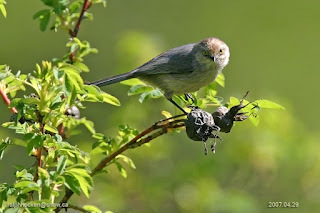 Three Warbling Vireos were seen just off the trail. 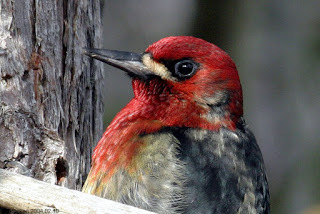 The Tuesday bird walk went to Springwood Park in Parksville. The morning was sunny and very warm, but it cooled off when we entered the forest. Swainson's Thrush’s entertained us all morning. Turkey Vultures and Bald Eagles flew overhead. 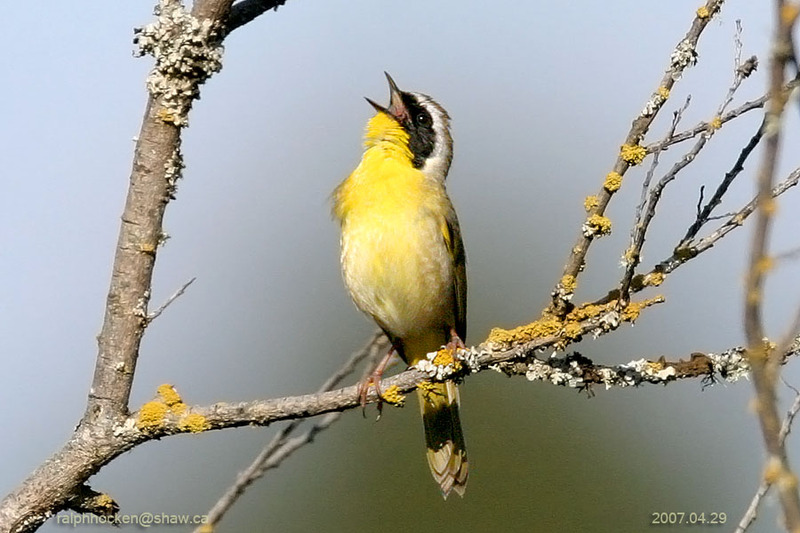 We had great views of three McGillivray's Warblers perched and singing on the walk. A Western Tanager was seen high up in the tall tree near the trail. A Pileated Woodpecker was spotted flying into its nest hole along the edge of the forest. Willow Flycatchers and Pacific-slope Flycatchers were heard during the walk. A Common Yellowthroat gave us great views in the bushes just off the road. 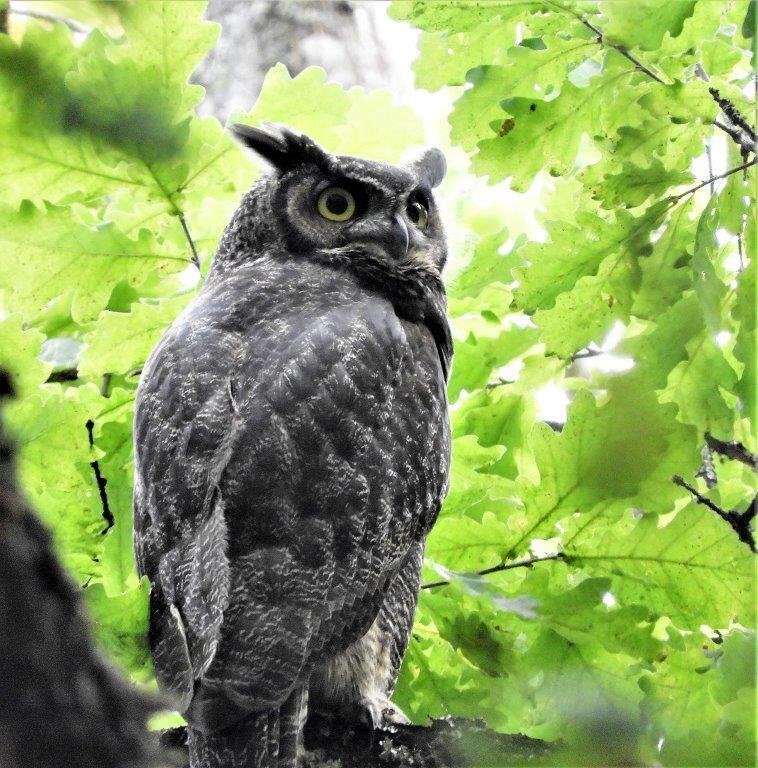 A juvenile Great Horned Owl was spotted perched in a tree back in the bushes. An adult Great Horned Owl was being mobbed by American Robins along the trail at the end of the walk. 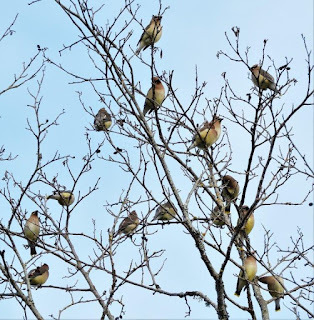 The Tuesday Bird Walk on May 29, 2018 will be going to the Lot Ten in Qualicum Beach. Meet at the Parksville Community Park (near the Lions Club playground parking lot) in Parksville at 9:00 am, or at the end of Kinkade Road on the forest side of highway 19A in north Qualicum Beach at about 9:20 am. 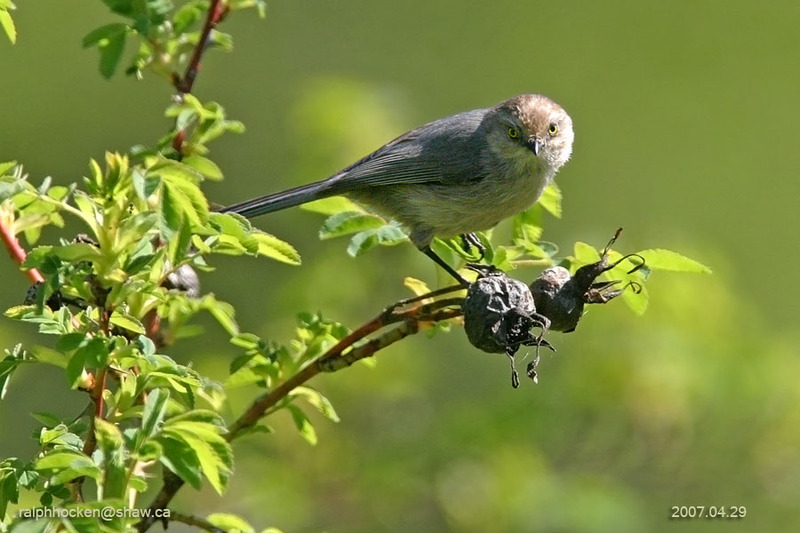 The Sunday Bird Walk on May 27, 2018 will be going to the Shelly Road side of the Englishman River in Parksville.. Meet at the Bird store at 9:00 am or at the end of Shelly Road on the ocean side of highway 19a at about 9:25 am. 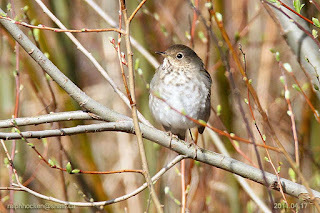 The Sunday bird walk went to the Linley Valley in Nanaimo. The morning was cloudy and calm. We heard and then saw a Black-headed Grosbeak at the start of the walk. 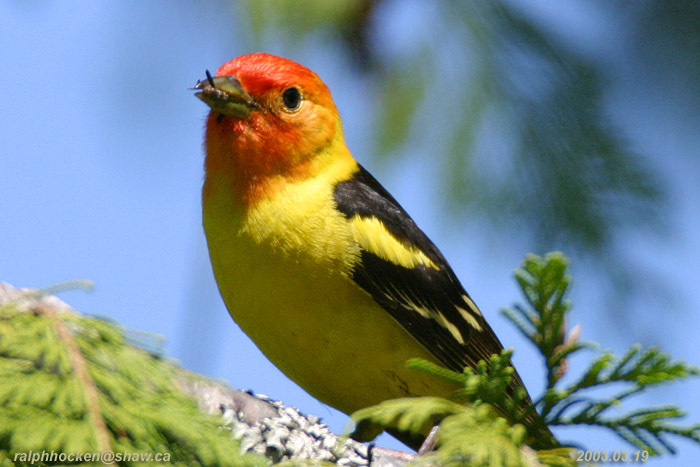 A Western Tanager was seen in the same area. 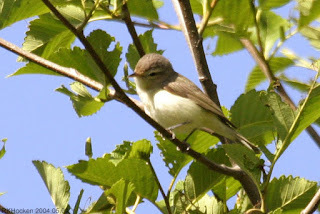 Pacific-slope Flycatchers, Warbling Vireos and Cassin’s Vireos were heard throughout the walk. We had great views of a Wilson's Warbler just off the trail. 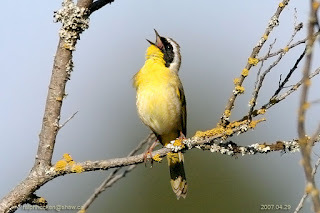 Several Common Yellowthroats were heard near the lake. Wood Ducks were seen on the lake. Parksville/Qualicum Beach Tuesday Bird Walk, May 15, 2018: The Tuesday bird walk went to The Top Bridge Trail in Parksville. The morning was sunny and very warm. We spotted a flock of Bushtits and a Brown Creeper at the start of the walk. 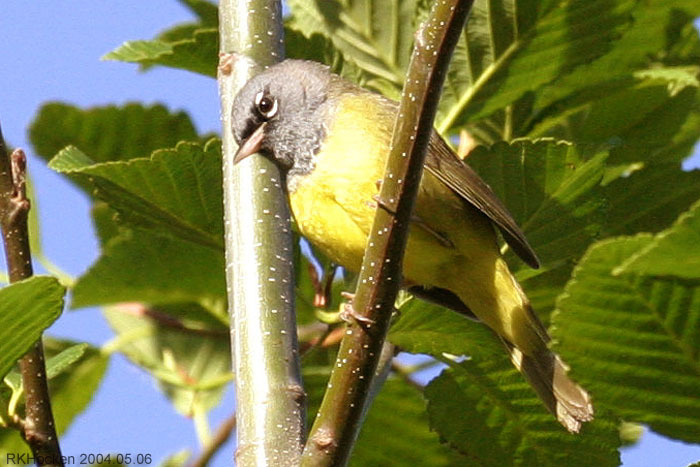 A Black-throated Grey Warbler was seen singing at the top of a very tall tree. We saw a Rufous Hummingbird and Anna’s Hummingbird perched high up in a tall tree. Bald Eagles and Turkey Vultures were soaring overhead during the morning. A Black-and-White Warbler was seen just off the trail. Western Tanagers, Black-headed Grosbeaks and Swanson’s Thrush were heard throughout the morning. A very fast Peregrine Falcon was spotted chasing prey. A MacGillivray’s Warbler entertained us for ten minutes from his perch just off the trail. A Blue-wing Teal was spotted on Brookwood Marsh in north Nanaimo. 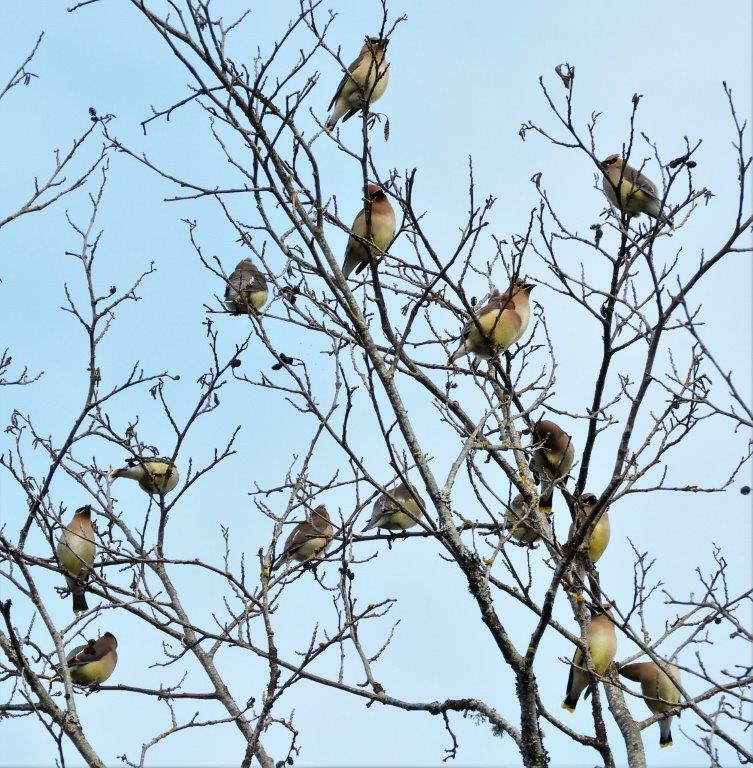 The Tuesday Bird Walk on May 22, 2018 will be going to the Springwood Park in Parksville. Meet at the Parksville Community Park (near the Lions Club playground parking lot) in Parksville at 9:00 am, or at the west end of Despard Avenue at about 9:10 am. 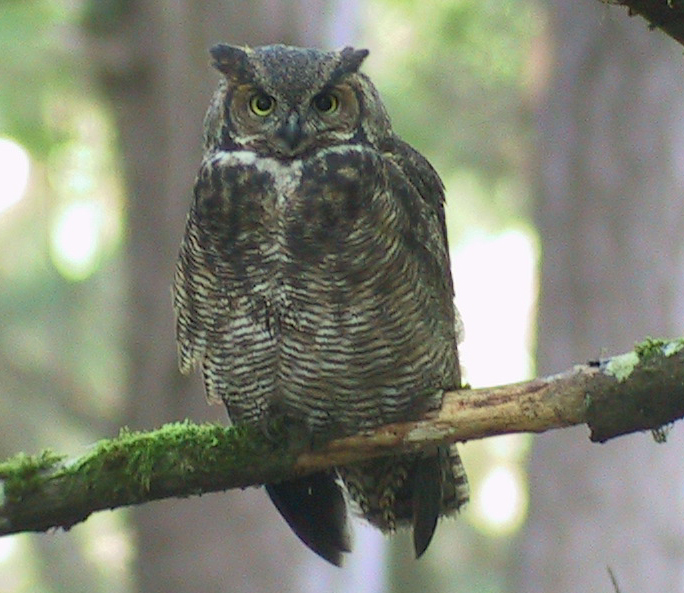 The Sunday Bird Walk on May 27, 2018 will be going to the Shelly Road side of the Englishman River in Parksville. Meet at the Bird store at 9:00 am or at the end of Shelly Road on the Oceanside of highway 19a at about 9:25 am.